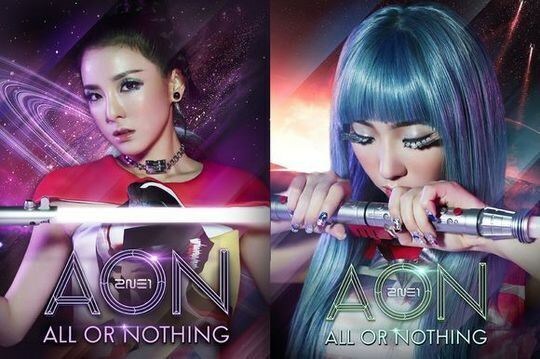 [마이데일리 = 전원 기자] 2NE1’s teaser images of members for their 2nd World Tour‘AON (ALL OR NOTHING)’ were revealed. The images of DARA and MINZY were posted on YG’s official blog on Jan 17. With the space image in the background, DARA catches attention with fancy makeup and accessories. 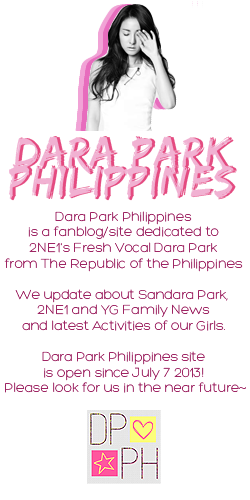 It’s a whole new DARA, with an ambience of fantasy. MINZY, with a similar background image, attracts attention with her dynamic eye makeup and fashionable nails. It’s a whole new MINZY as well, with her emerald color wig. MINZY, usually known for her short hair, aroused enthusiastic reactions from the fans with long hair. 2NE1, apart from South Korea, will visit 9 countries including Japan and China across 13 cities (Seoul, Hong Kong, Singapore, Yokohama) for 17 concerts of World Tour. The Tour is set to kick off on March 1 and 2 at Seoul Songpagu Bangidong Olympic Park SK Handball Arena. Fans will be able to enjoy the dynamic live performances based on their solid knowhows, and the concert is arousing even more attention as world-renown directors Travis Payne and Stacy Walker will once again join the quartet.